Before getting to today's piece of holiday ephemera, let's continue the buildup to Christmas on Sunday with a couple of gratuitous photos of yours truly from Christmas 1971 in Montoursville, Pennsylvania. Now on to today's ephemera. It's something that I picked up at some sale or another over the past year, so I can't put any name or context to it. But it's kind of cool and in good condition. 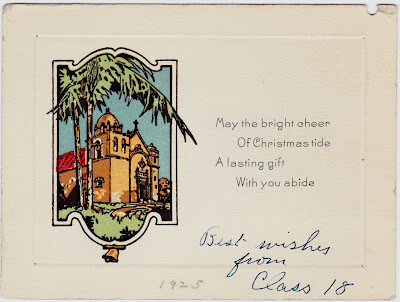 Below that, in pen, is written "Best wishes from Class 18." And below that, in pencil, is "1925." 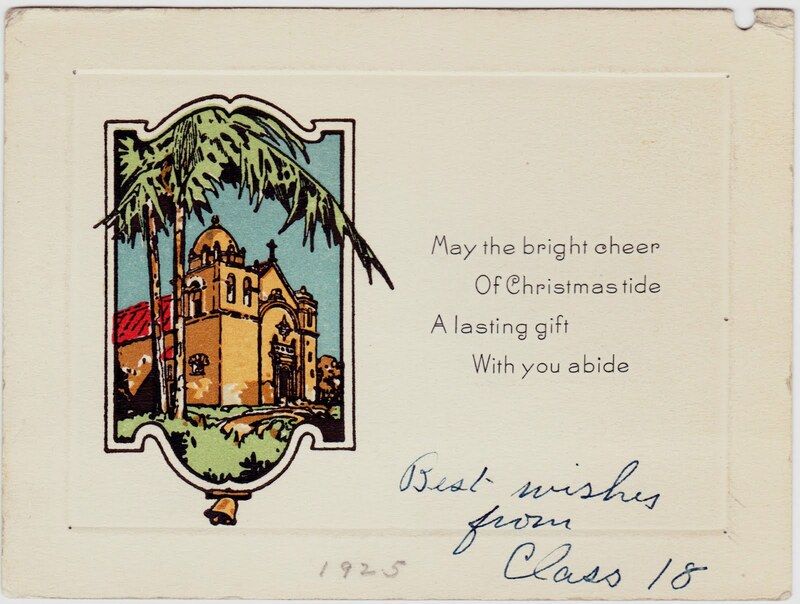 Was this card received in 1925 and sent from the Class of 1918? That's my best guess. 1. Plus, of course, just a few authors in between. 2. Years later, some friends and I enjoyed changing this song to "Me and Willie McGee." 3. Apologies to Professor H.L. Williams and other guardians of the language. 4. 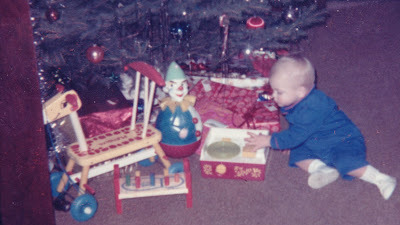 Actually, 1971 is the year that this Fisher-Price record player was introduced, according to Perpetual Kid. 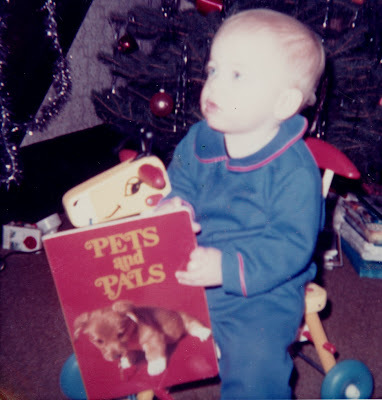 Instead of Three Dog Night, its songs would have included "Edelweiss" and "Camptown Races." But why should we care all that much? As long as there is no chance for miscommunication, I say forget about whether it's "right" or "wrong" and just say it! Of course, be prepared to tick off the guardians of the language, as you've noted. They'd probably read that and say "Ouch! that punctuation has caused our boat to start sinking!"